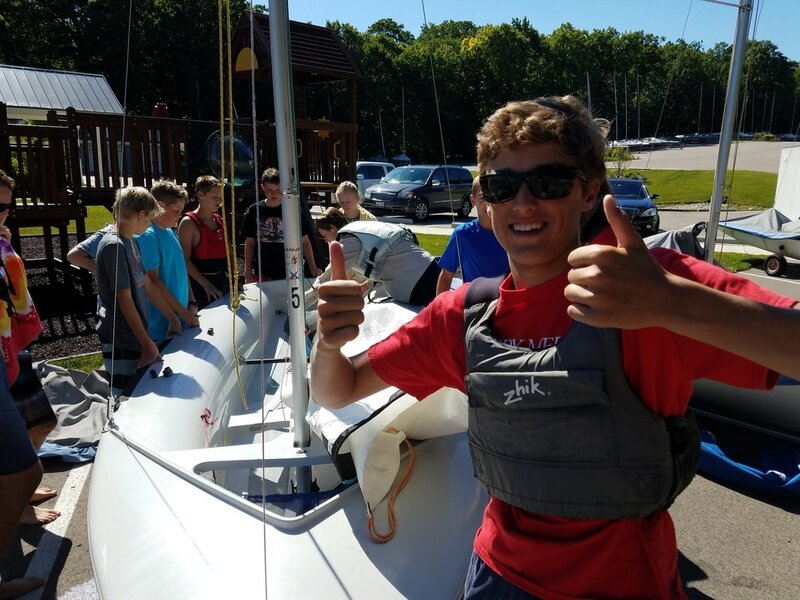 420 Camp provides a introduction to the basics of sailing for teens. Students spend the first day learning the basic knots, points of sail, rules of sail, and sail trim to help them prepare for when they go out on the water in teh afternoon. They also undergo the "tiptest" to make sure that they know what to do if their boat tips over. In the afternoon they go out on the water.